Hello, it's Gracie posting today. I'm excited to share a project I made for Sin City Stamps in partnership with Gelli Arts, the makers of Gel Printing Plates. I created a stamped image with an amazing background, all in one layer! 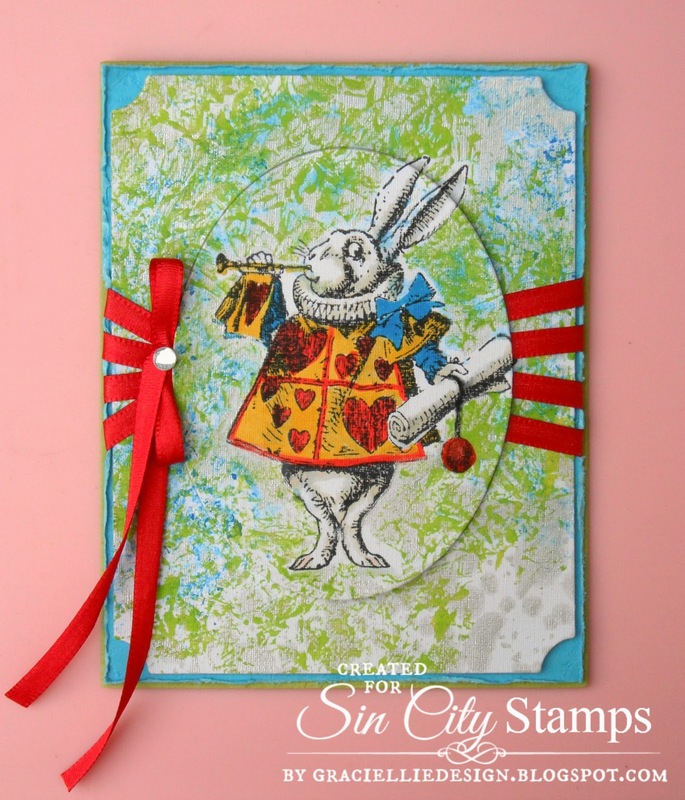 I have a step by step photo tutorial for you at Sin City Stamps' blog. To view it, please start the guide below. Check out How to Do One Layer Printing & Stamping With Gelli Plates by Gracie CH on Snapguide. 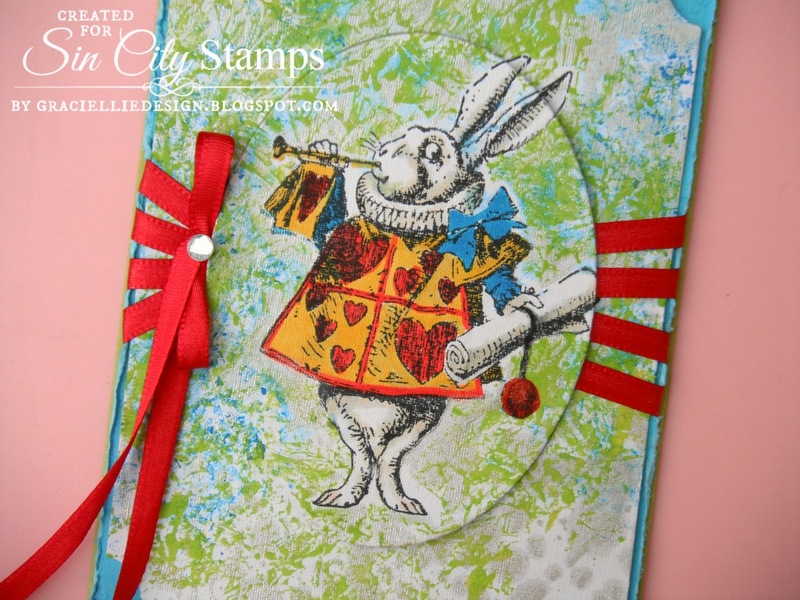 I hope you enjoyed seeing my fun Alice in Wonderland card and it's tutorial! I truly recommend you try out the Gelli Plates, they are very versatile and easy to use. If you would like to check out this cute art rubber stamp, click on the link added to the supply list or click here to be directed to Sin City Stamps store! Awesome! I love the layers you achieved!! Love it, Gracie! It looks awesome!